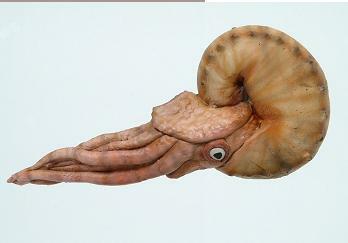 Ammonites are an extinct group of marine animals (subclass Ammonoidea) in the phylum Mollusca and class Cephalopoda. 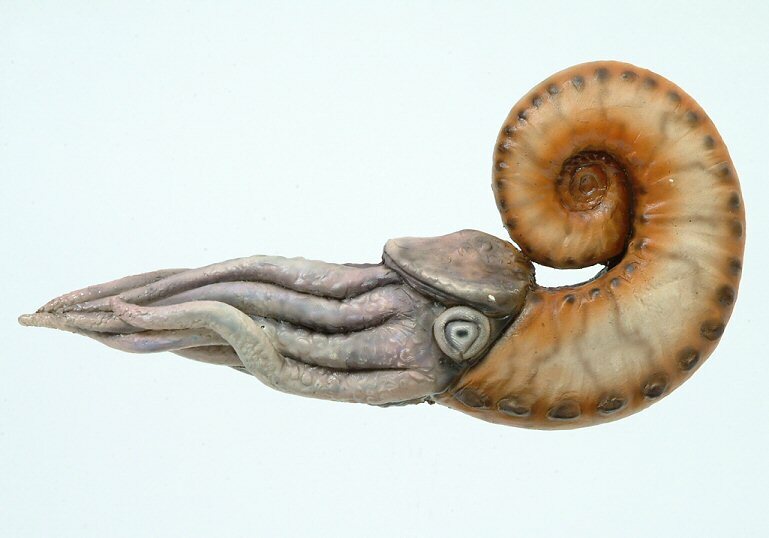 Their closest living relative is probably not the modern Nautilus, whom they resemble, but rather the Subclass Coleoidea (octopus, squid, and cuttlefish). 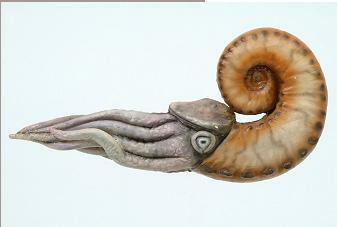 Their fossil shells take the form of flat spirals (though there are some rarer helically spiraled and non-spiraled forms, called heteromorphs) and are responsible for the animals' name as they somewhat resemble a tightly coiled ram's horn (the god Ammon was commonly depicted as a man with ram's horns). Plinius the Elder (died 79 AD near Pompeii) called fossils of these animals ammonis cornua, "horn of Ammon." 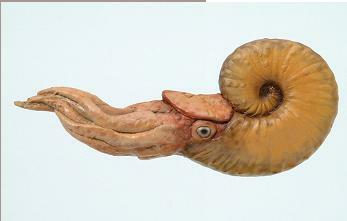 Often the name of ammonite species ends in ceras, Greek (κέρας) for "horn" (e.g. 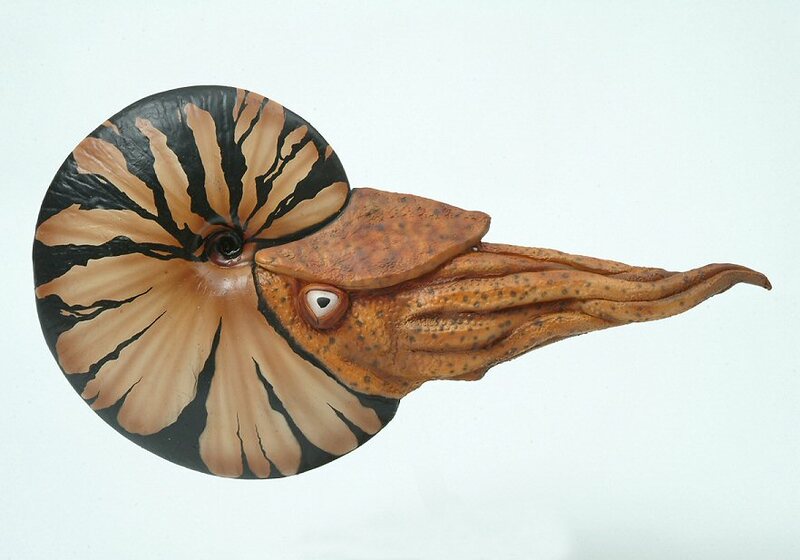 Pleuroceras).